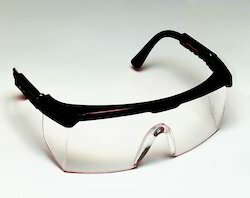 Our product range includes a wide range of protective eyewear, safety eyewear glasses, 3 ply face mask, eye protection goggles, fall protection - devices and fall protection devices. Goggles are forms of protective eyewear that usually enclose or protect the eye area in order to prevent particulates, infectious fluids, or chemicals from striking the eyes. For example, when swimming, goggles protect the eyes from salt or chlorine in the pool. - Nose clip contours to a variety of face shapes and sizes. 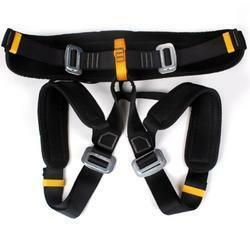 Safety harnesses are an important piece of fall protection equipment. 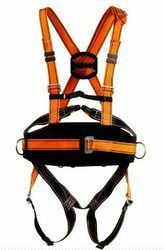 We carry the best safety harnesses from top. your needs be they, comfort, weight, adjustability, flexibility, price, technical specification advice/support. Safety Shower and eyewash operates independently by pull rod and push lever. - Twin soft flow automiser head which has aerators to control the stream straightness and diameter, thus reducing splash by aerating the stream. - Receptor bowl made of ABS and highly resistant to acid, alkali and oil among others. - ISI marked GI pipe with powder coating for anti-corrosion. We are offering an exclusive range of Disposable Shoe Covers to our esteemed customers. This array is polyethylene disposable shoe covers are made from 100% virgin recyclable high density polyethylene. The offered array is used in sterile environment of Pharma companies, in hospitals, nursing homes and to pack brand new shoes. Apart from all this, the entire range is available at cost effective rates.